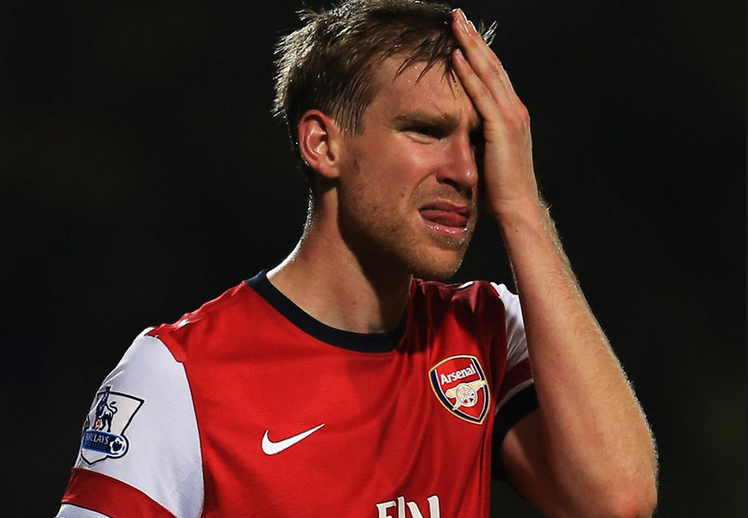 sportsmatrix » Arsenal: A Season of Decline? Arsenal: A Season of Decline? By this stage last season, it is almost hard to believe Arsenal were sitting at the top of the Premier League on 49 points. After 21 games this season they have taken only 36, and are precariously placed outside the Champions League spots in 5th spot, as pressure on manager Arsene Wenger builds yet again. How has it happened? Arsenal, who face 2nd place Manchester City on Sunday in a pivotal fixture, actually added to their artillery in the summer, bringing in Chilean World Cup star Alexis Sanchez from Barcelona, along with Manchester United and England striker Danny Welbeck. Sanchez has been a revelation – arguably the most influential Premier League player since Cristiano Ronaldo – but Arsenal still exhibit the same frailties that have prevented them from winning a title since 2003-2004. Have they turned into a one man team since Sanchez’s arrival? Are they simply worse defensively? Let’s look at the data. Sanchez’s overwhelming contribution to this season’s campaign has been undeniable. Aside from goals – he has netted 12 – Sanchez appears to be one of Arsenal’s top contributors in several phases of play. From players that have over 10 appearances to their name this season, he creates the highest number of chances per game (2.5), receives the ball beyond the 2nd defensive line (between midfield and defence) more than any other player (3.7 per game) and has the highest conversion rate, i.e. number of goals from chances, of any Arsenal attacker (22%). So which players have gone downhill? In the engine room last season, Mikel Arteta, Aaron Ramsey, Mesut Ozil and Santi Carzola all averaged over 60 passes delivered per game. This season only half of that quartet (Arteta and Ramsey) have reached the benchmark. In terms of individual skill, last season 11 players recorded a ‘good dribble’ percentage of over 30 per cent. This season, of the squad members that have appeared over 10 times, only Nacho Monreal, Alex Oxade-Chamberlin and Danny Welbeck have achieved it. Where final delivery is concerned, there seem to be less players taking responsibility for directing the ball into dangerous areas. Last season, 5 players accounted for over 20 per cent of their teams crosses when they were on the pitch, whereas this term only 2 players (Alex Oxlade-Chamberlin and Kieron Gibbs) have met that standard. Defensively, over last season only one defender (Monreal) performed a ‘bad’ action over 10 per cent of the time when dealing with situations classed as ‘high risk’ – this season there are five offenders – virtually the whole of Arsenal’s backline with the exception of the improved Monreal. Sometimes a player comes to a club and galvanises the team, driving the performances of his teammates around him. In this case however, Sanchez’s arrival seems to have caused the opposite – a shirking of responsibility rather than a new willingness to embrace it. The message to the underfire Wenger is clear – if his squad can’t take strength from a marquee signing of one of the world’s best players, it is time to invest in the January transfer window in order to give Sanchez the support he needs. « Ronaldo vs Messi vs Neuer: Who Has ‘Ball Control’?